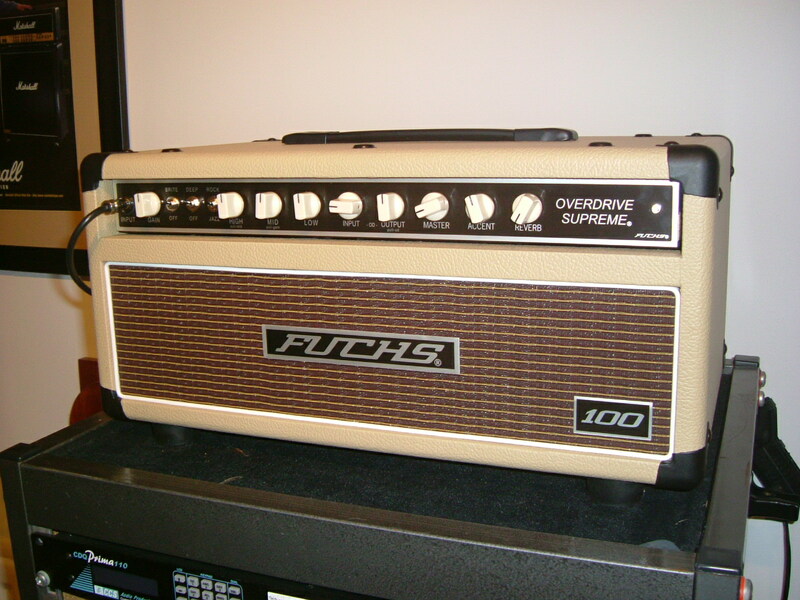 Based on The Dumble, but has it's own distinctive sound, I love this amp!!! 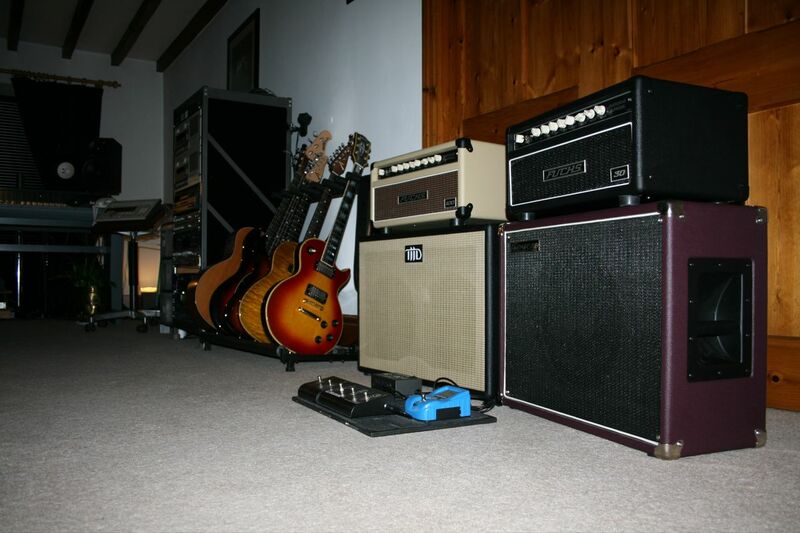 I was introduced to these amps by Dave Gillan from Gillan's Guitars in Scotland in 2006. I was describing the sound I was after and after many lengthy conversations, Dave suggested he send me a Fuchs Overdrive Supreme to try out. It both recorded and gigged beautifully. I ordered a 100 watt head in vintage creme with a half power switch and also, about 12 months later, bought a 30 watt head for the studio. Bought from Sounds Great, Heald Green, Manchester. I was kindly sent this guitar to use whilst mine was being made. asked Tom if I could keep it. 50th Birthday present from my beautiful family. 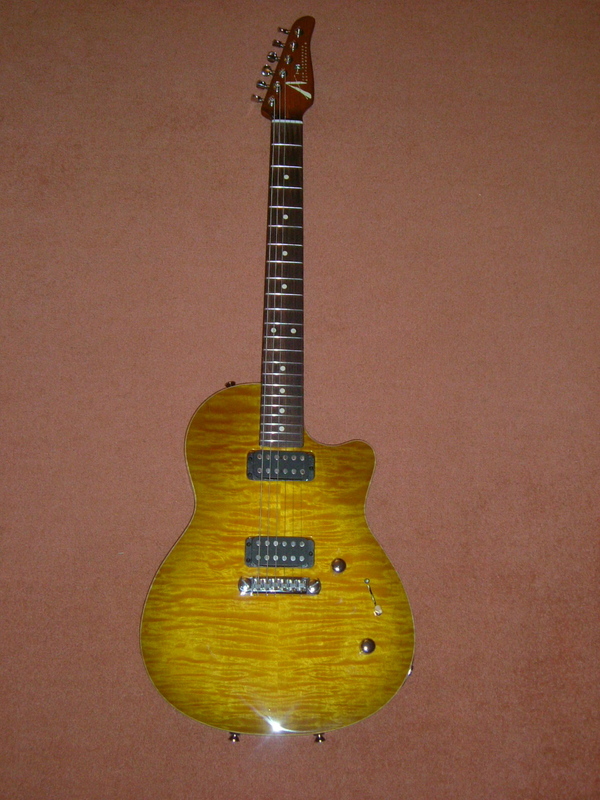 I have been working with Gordon Tilley from Patrick Eggle Guitars for about 2 years now experimenting with different woods, wiring etc and this is where we are up to...... Beautiful playing and sounding guitar, all english aged woods and all the switching configurations you could ever want. 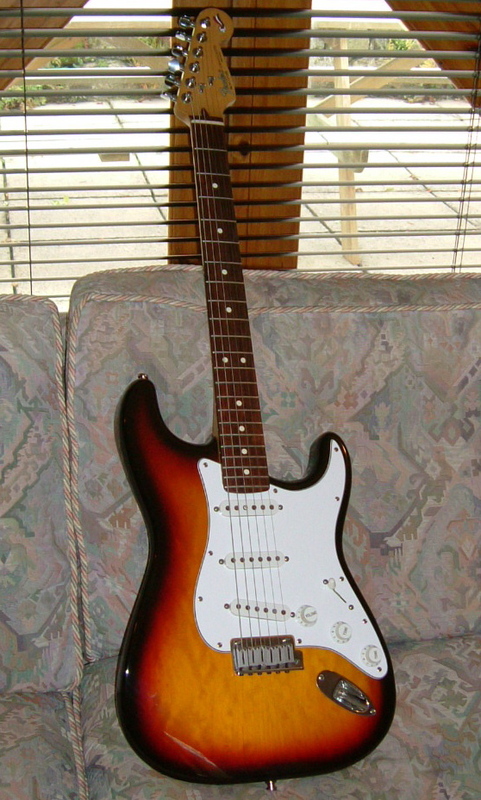 I bought this guitar from Selmers, London in 1971. It cost then, a whopping £408.00 (almost the price of a new mini). 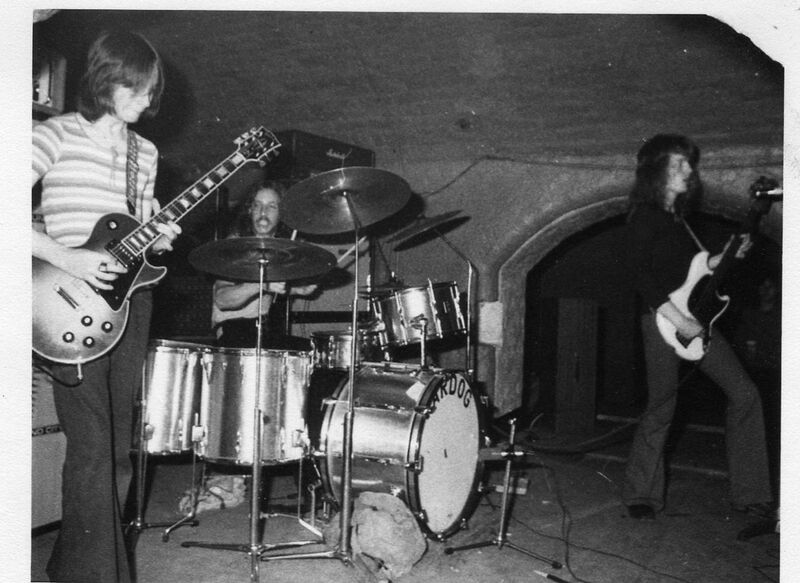 It was a great guitar and it was the only one I owned for a long time, gigged everywhere with it and never seemed to need anything else. Changed the machine heads to Grovers and had the neck slimmed down slightly but everything else remained the same. 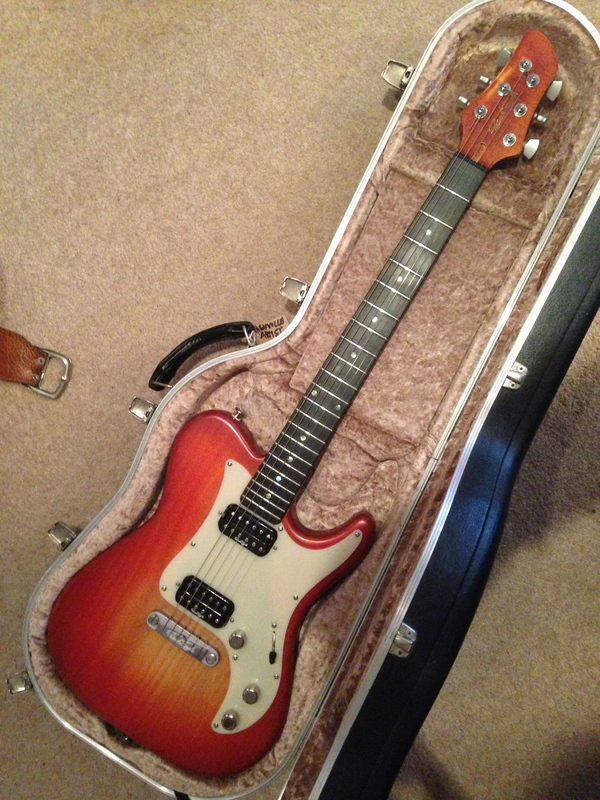 Sold to a fellow Band member in the 80's and then bought it back again in 1995. It was used for the music in early Brookside and Waterfront Beat for BBC. and by Alvin Stardust in early episodes of Hollyoaks. I finally sold it in 2009 (it's gone to a good home). Bought in 1998, again from Sounds Great, Heald Green, Manchester. 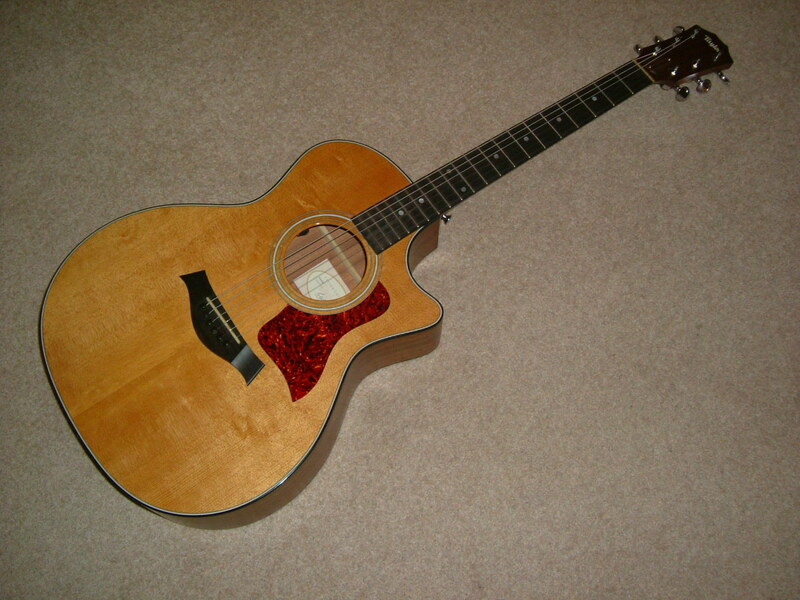 Sapele (African Mahogany) back and sides, Sitika Spruce top, Mahogany neck and Rosewood fretboard. Fishman Prefix electrics. Well worn in now and top colour has really deepened. A lovely Get Well present from my wife Viv, after a serious motorbike accident. Used on many tv/radio projects over the years. 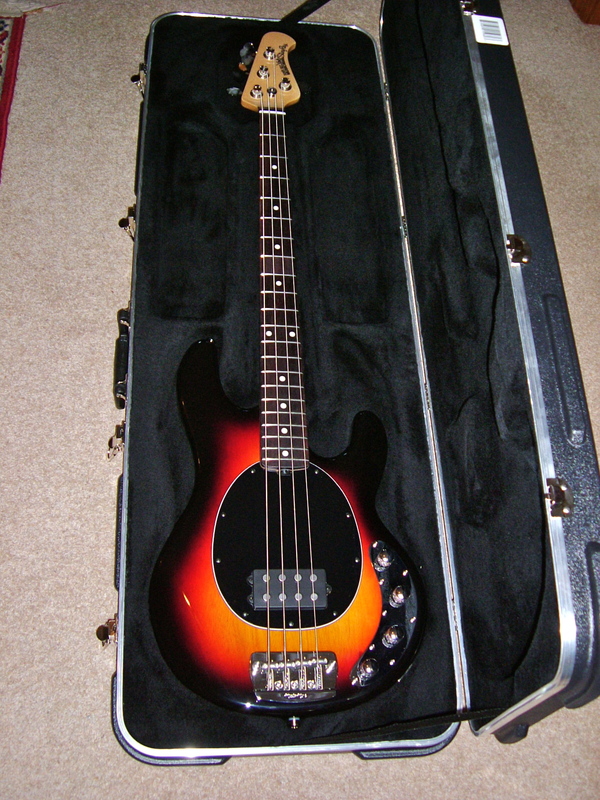 I've had this Music Man for a good few years now (2003) and after spending years buying different Basses for work in the Studio and losing money on everyone of them, I finally found a quality instrument that not only looks great but instantly sits in the track. I love this Bass and it has been on everything I've recorded in the last 9 years. 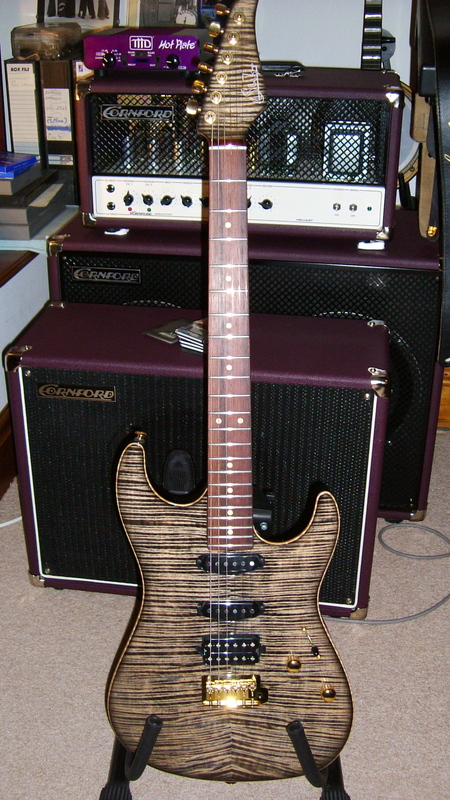 John Suhr Custom Guitar. 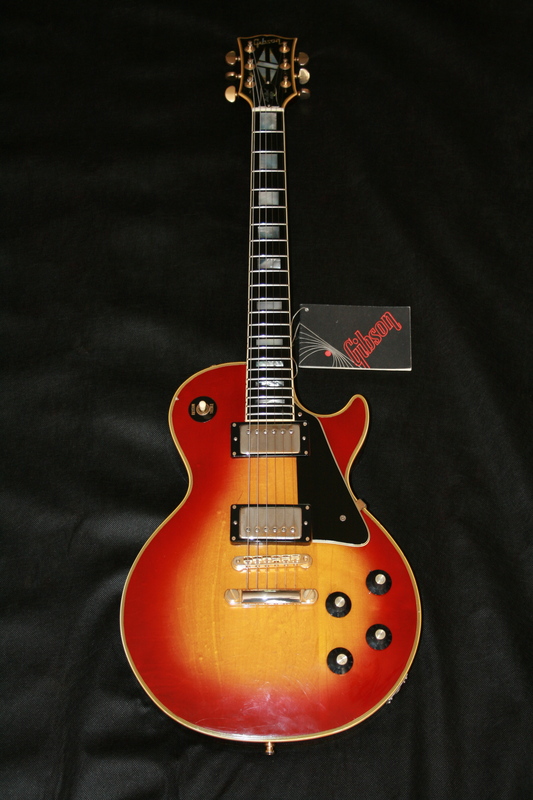 Lovely instrument Mahogany body and neck with a beautiful book-marked Flamed Maple top. I bought this guitar on a whim...... 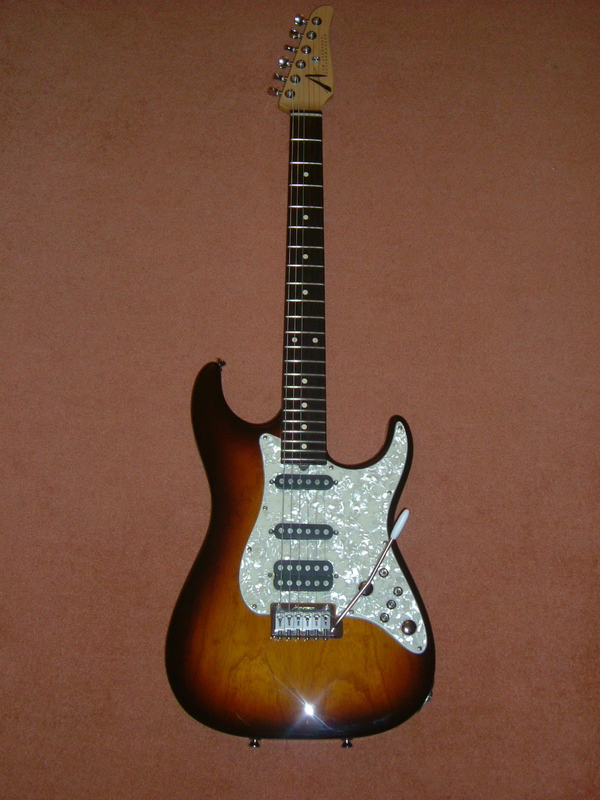 It was the first one John made in this finish and was beautiful but just wasn't for me, so sold on..... I later bought the Atom (see info).